A variety of agencies participate in lending on commercial properties by insuring loans originated and (sometimes) serviced by approved lenders. Some of these agencies are managed by the government, while others merely enjoy certain governmental assistance such as tax deferment or exemption. 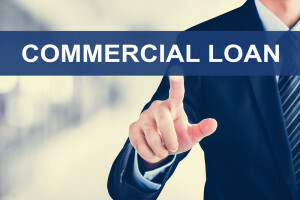 Each agency defines a range of commercial loan programs for different commercial real estate property types, loan amount ranges, and funding purposes. The Small Business Administration is a governmental organization that guaranties loans on commercial properties occupied by small businesses. SBA loans are intended as a “last-resort” for small business borrowers: in order to qualify for a loan from the Administration, a borrower must have been turned down by at least two conventional lenders. The main SBA program, originated by commercial banks and insured by the SBA, is the 7(a) program, for the most part intended for purchase/acquisition transactions and with loan amounts of less than $2 million. In 1937 congress passed the National Housing Act, which established the Federal Housing Authority. The mandate of this organization was to encourage financial institutions to support the development and rehabilitation of, essentially, any building in which people live. The FHA is administered by the US Department of Housing and Urban Development (HUD), and is mainly focused on promoting home ownership. However, the agency also offers a wide range of insurance programs for the purchase and rehabilitation of multifamily commercial properties, including apartments, condominiums, student housing, manufactured home parks, elderly housing/assisted living facilities, and healthcare facilities. The Federal National Mortgage Association (FNMA, Fannie Mae) and the Federal Home Loan Mortgage Corporation (Freddie Mac), are both private companies designed to promote home ownership for low and medium class families. Neither company makes loans directly to borrowers; rather, they rather buy mortgages from the commercial banks, insurance companies and credit unions that originate them, providing a continuous influx of capital to those institutions. This capital can then be used to originate new mortgages. Like the FHA, the main focus of Fannie Mae and Freddie Mac is the residential market, but their activities bleed over into the commercial real estate realm through their involvement in multifamily residential properties such as apartments and condos. ⇐ Just Leased: Long Beach Maytag opens in Lakewood, Ca.